Another fish that was biting were the lovely little toadfish. Gruesome little buggers, they snapped at us as we tried to get the hooks out. Apparently they like muddy bottoms and eating children’s souls. Heavy rains are good, unless you want to fish near the mouth of the Colorado river on the gulf. My plans of catching limits of specks in “trout green” waters under industrial sized lights were foiled by mother nature’s decision to empty several inches of rain the week prior to our trip. 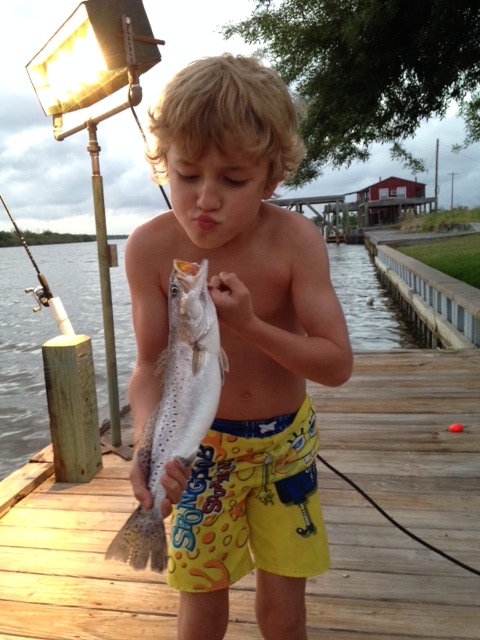 I managed a lone speckled trout in a week of fishing, but I must admit my efforts were not strong once it became apparent the water would remain the color of a good Cajun roux. 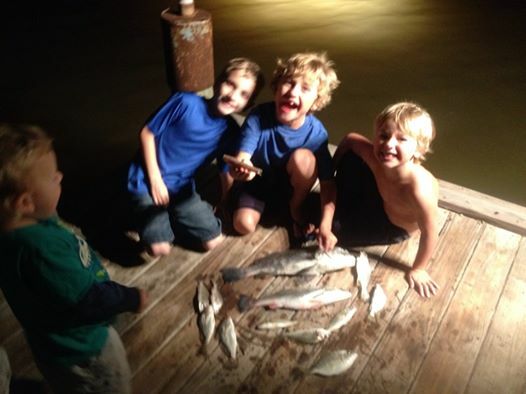 Even crabbing was weak, though we managed more success than we did with trout under lights. 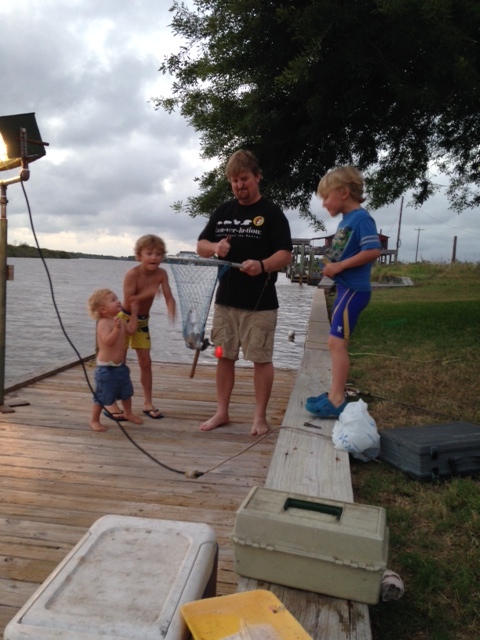 Luckily, Atlantic Golden Croaker, or simply croaker, were hammering dead shrimp and my boys stayed busy reeling in one after another. The biggest went about 2 pounds, but most were in the half pound to pound range. Fine table fare. Crabs were really slow, so we almost didn’t have enough but on the last day a small herd of crabs made their way into our pots. We ended up with about a dozen keepers with about another dozen stone crab claws. 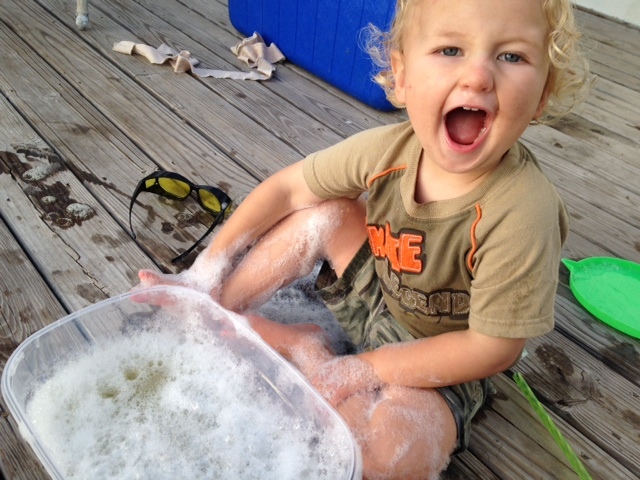 But my little guy was fine and he soon enjoyed the fun of blowing bubbles in 15 mph winds. 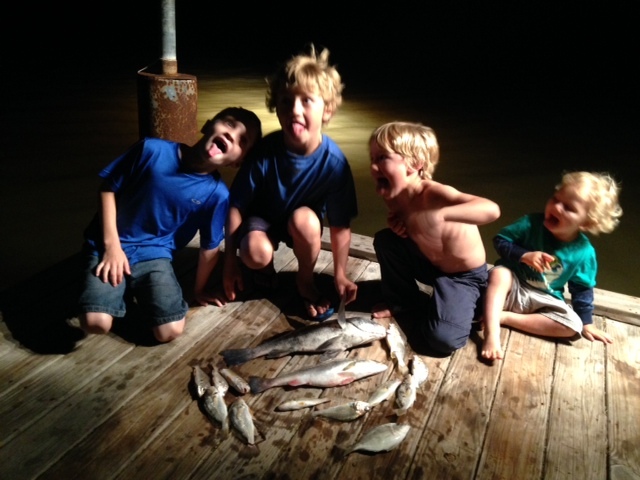 The cool thing about kids, fishing and vacations is that even though the fishing was a bust, we had a good time. And it’s not about the fillets for me anymore, its about the smiles. never seen a fish like that. +1 on the ugly. Love that last pic! Great stuff!